Raised grain occurring on wood surfaces after the application of a waterborne varnish was felt by human touch because of protruding peaks and a certain amount of materials in the core of the roughness profile. This tactile sensation was correlated with specific roughness parameters. Characteristics of a finished surface quality that is acceptable to consumers were determined. Raised grain occurs on wood surfaces after the application of a waterborne varnish and forces manufacturers to sand the surfaces between coats. Actually, little research has characterised this phenomenon and no techniques have been discovered to avoid its occurrence. This study aims to identify the topographic parameters that explain the visuo-tactile sensation of raised grain and to define a finished surface quality acceptable to consumers and industry. Oak (Quercus robur L.) and beech (Fagus sylvatica L.) wood surfaces were planed and sanded in order to have various levels of raised grain. Visuo-tactile analyses were carried out on surfaces having received one coat of varnish to characterise raised grain and having two coats to characterise the acceptable finished surface quality without sanding. Topographic parameters were measured on each type of varnished surface and correlated with the visuo-tactile scores. Raised grain was characterised by the visuo-tactile sensation of protruding peaks and a certain amount of material in the core of the roughness profile for both wood species. Industrials overestimated the surface quality required by consumers. Thresholds of topographic parameters were determined to define acceptable finished surface quality. These findings allowed objective criteria to be defined for describing raised grain and to help industries to optimise their wood machining and finishing processes. Miora Ramanakoto and Florent Eyma carried out machining and finishing processes in industries, and carried out visuo-tactile analysis with industrials. Miora Ramanakoto carried out visuo-tactile analysis with consumers, measured topographic parameters on wood surfaces, carried out statistical analysis and wrote the paper. Miora Ramanakoto, Tahiana Ramananantoandro and Florent Eyma designed the study and the methodology, discussed the results, commented on the manuscript and wrote the paper. Tahiana Ramananantoandro, Florent Eyma and Bruno Castanié supervised the work. 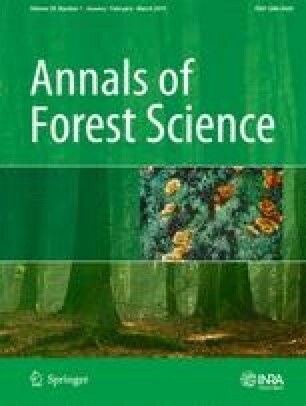 The authors wish to thank Critt-Bois Occitanie in Rodez (Aveyron, France) and Rozière industry in Bozouls (Aveyron, France) for providing the oak wood samples used in this study, and for their collaboration that allowed us to perform the machining and finishing processes in industrial conditions and to carry out sensory analysis. We wish to thank Sanguinet industry for providing Pyrenees beech wood samples, and the test persons for their collaboration for the sensory analysis. This study was funded by the Ex-Midi-Pyrénées Region, Hautes Pyrénées Department and IUT of Tarbes in France. The authors declare that they obtained the informed consent from all participants, industrials and all test persons who collaborated for the sensory analysis.